In Swift To-Do List, you can can color your tasks based on Priority, Type, Status, Context or Assigned To..
By default, Swift To-Do List uses colors only in the Priority column, as shown in the first example. 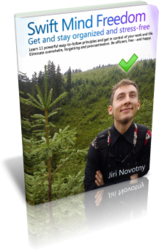 But you can customize and use colors much more – and in this post, you will learn all about it. 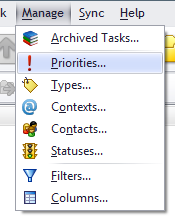 Very similar window would be shown for Priorities, Statuses, Contexts or Contacts (Assigned To). It works the same. 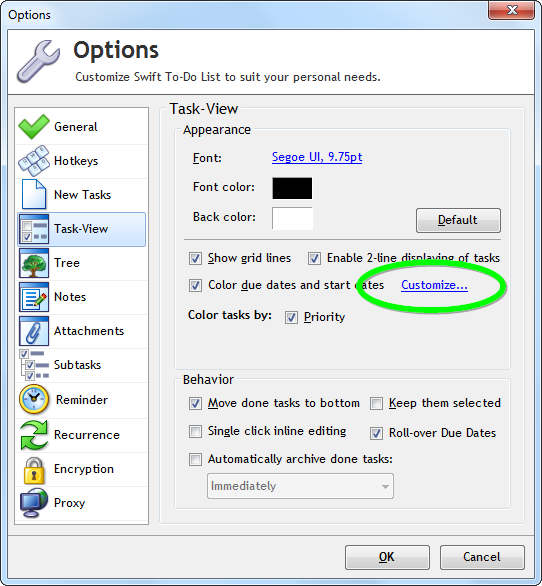 Enable or disable colors, by clicking the checkbox, as shown in the screenshot above. 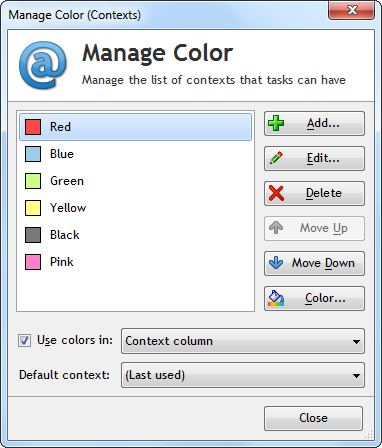 Choose the color mode (Column/Task Name/Whole Row), as explained at the beginning of this post. Change the colors for individual items. To do that, select an item, then click the Color button on the right. Please note that for obvious reasons, you can’t use the Whole Row or Task Name coloring mode for two or more fields at once – e.g. both Priority and Type can’t color the Task Name. However, the Column coloring mode can be combined with any other modes of other fields – e.g. 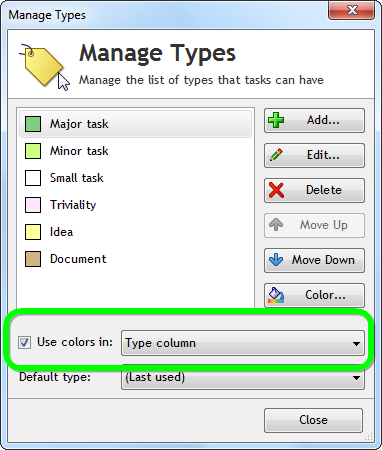 Priority can color task names (or even whole rows), and at the same time, Type can color the Type column. Also please note, that done tasks are always displayed in gray text with no color highlights. Your coloring customizations are of course automatically saved and remembered, even after restarting the program. 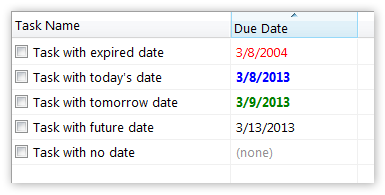 As you can see, today, tomorrow and expired dates can be highlighted using a color of your choosing. The “today” and “tomorrow” dates are also displayed in bold for extra highlight. If you own the Ultimate edition, and don’t use the Context or Type column, you can rename it to “Color”. To do that, use menu Manage – Columns. In the window shown, select and enable the Context or Type column, then click the Rename button. Type in “Color” and confirm. So, that’s it. Now you should be a master when it comes to using colors in Swift To-Do List. We have a nifty little comments box at the bottom of this page – if you have a question or a comment, don’t hesitate to write something into it and click Submit comment! I will be happy to reply to all comments. What’s new in Swift To-Do List 7.11: Colors! Is your to-do list impossible to finish? So, do you want to build 100 tiny houses, or 1 skyscraper? instant relief, total control and super efficiency. Each of the 11 principles comes with a fun, hand-drawn illustration. Thanks Jiri . This was really useful. More like this welcome anytime.